Happy Saturday!! Danielle here today to share 4 Cards with you that I created using the Big Splash Daily Diary Kit from Noel Mignon. 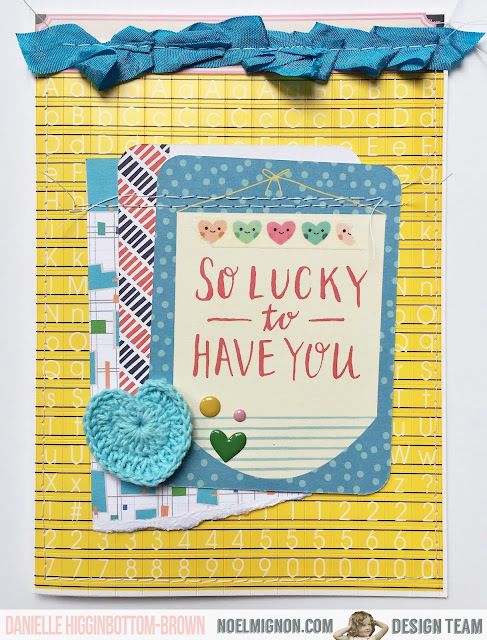 For the first card, I ruffled and stitched some of the gorgeous ombre sheer ribbon that was include in the kit, to look like a wave at the top of the card. I thought it paired perfect with the beach scene paper. For my second card I created a birthday one. I love the Heidi Swapp stamp set that was included this month. That bottle cap paper is one of my favourites, and I paired it with some yellow trim from my stash. 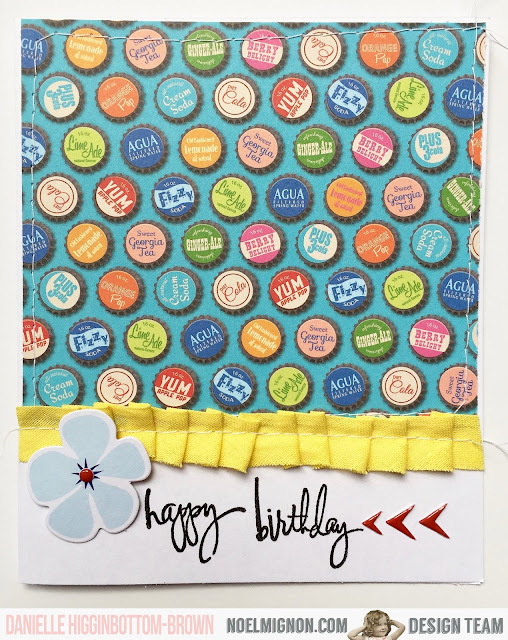 My third card I stitched on the entire sheet of Jenni Bowlin Yellow Alpha Stickers. I love that large pop of yellow with the letters as the background. Next I layered some paper scraps and project life cards, then finished it off with some turquoise trim from my stash. 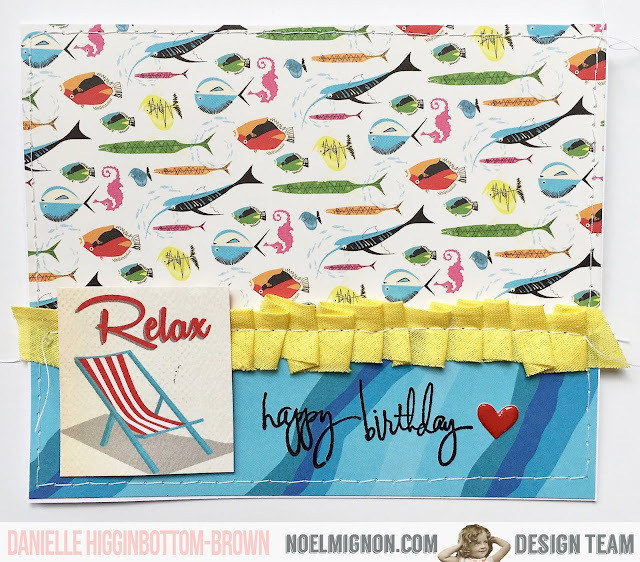 My fourth card, I pieced together some scraps of paper and stitched on some yellow trim. 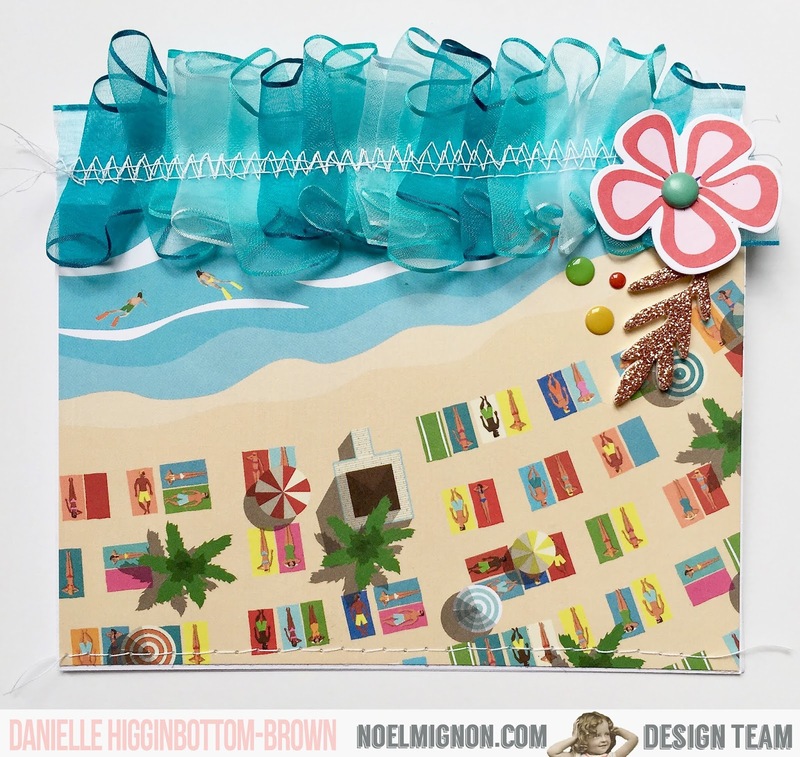 Next I cut out the cute beach chair from one of the papers and hot glued it over the ruffle. I finished it off by using the stamp set with black Versafine Ink.